Dr. Tami Rogers joined the Jacksonville Veterinary Hospital in September of 2010. After being with the practice for 9 years she was given the opportunity to take ownership. 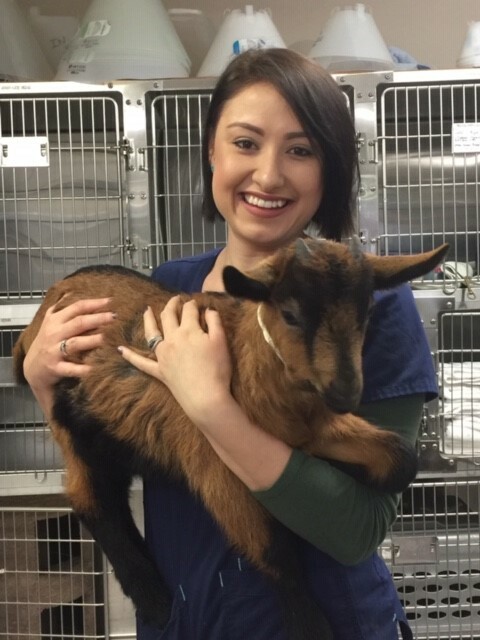 A three time graduate of Oregon State University; she received her Bachelor of Science, Master of Business Administration and Doctor of Veterinary Medicine degrees there. Dr. Rogers has special interests in internal medicine and surgery and she LOVES to work with brachycephalic breeds (pugs, boxers, bull dogs, Boston Terriers, etc). She loves being a part of the Jacksonville community and appreciates the relationships that have developed with clients and patients over the years. Dr. Rogers and her husband Allan moved to the Rogue Valley in 2001. They currently live just outside of Rogue River with their daughter and son, two dogs, two cats, chickens and goats. Her interests include spending time with her family, camping, hiking, white water rafting, gardening, sewing, and traveling. 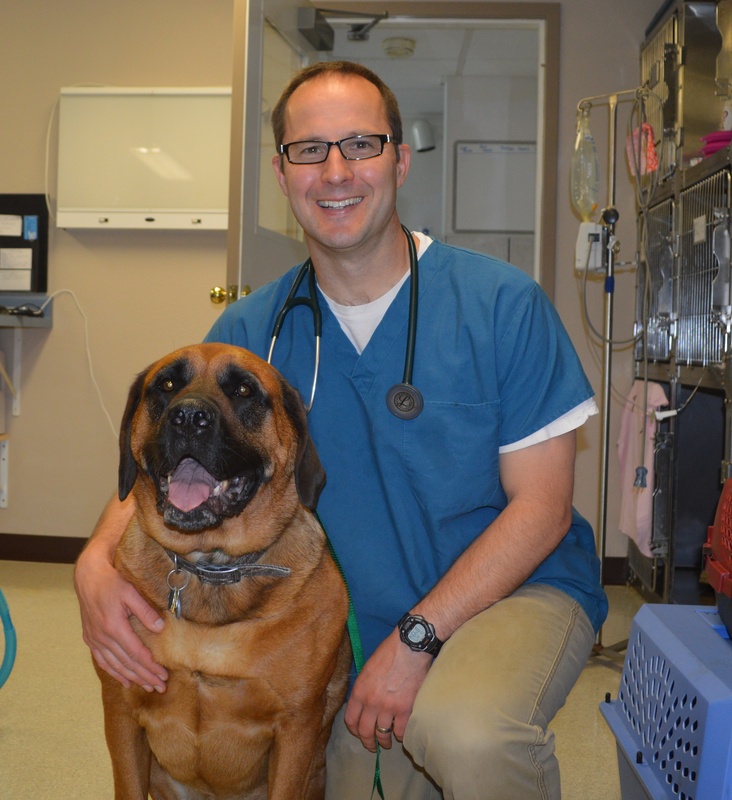 Dr Michael Dix graduated from the University of Wisconsin-Madison School of Veterinary Medicine in 1998. He then did a year long rotating internship in small animal medicine and surgery at the University of Illinois. After that, he spent 5 years at practice in Portland, OR before moving to Southern Utah to work at a large non-profit organization for 10 years. During that time, he developed an interest in surgery, specifically orthopedic surgeries and spays/neuters, and integrating individual animals health with the health of the community. 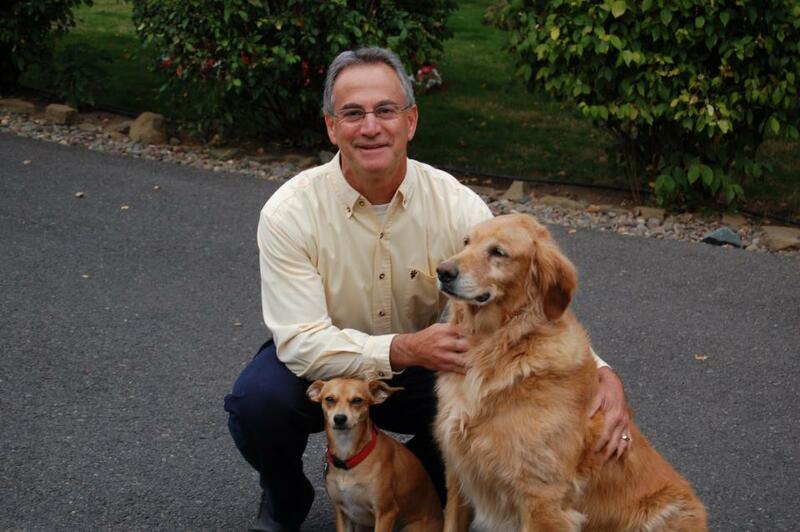 After his internship in 1999, Dr Dix visited Jacksonville Veterinary Hospital. He loved the feel of the community and was very impressed with Dr Franks compassion and hospitable nature. He was excited when he learned about the opening at JVH and applied immediately. He is very excited about the opportunity to be a part of the JVH team and the town of Jacksonville. Dr Dix and his wife and son are looking forward to experiencing all that the Rogue Valley has to offer. They love to hike with their four dogs (though not all at the same time) and spend time outside. They are also looking forward to all of the cultural events that the community offers. Dr. Frank graduated from Purdue University. He founded Jacksonville Veterinary Hospital in 1985 after he fell in love with the historic town. In 2002, he received the distinguished honor of Veterinarian of the Year. In April 2019, Dr. Frank retired from Jacksonville Veterinary Hospital but remains a big part of the Jacksonville Veterinary Hospital family and the veterinary community as a whole. Dr. Frank lives in Jacksonville with his wife Cindy, daughter Emily, Miniature Australian Shepherd and 3 cats. His retirement is being enjoyed through travel, outdoor activities, and spending time with family. Ashley joined our staff in November, 2010. 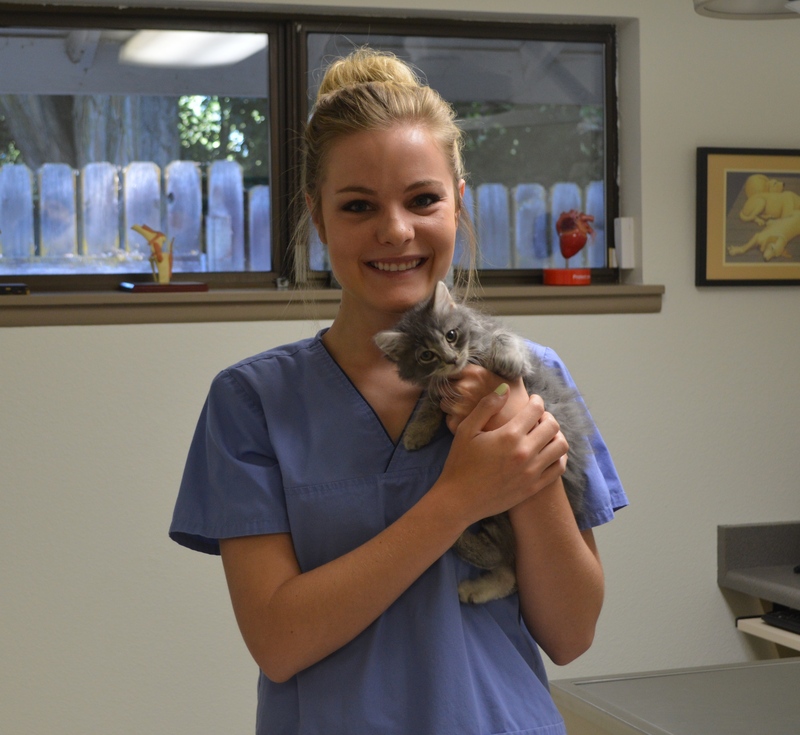 She is currently enrolled in an on-line program through the American Animal Hospital Association to become a certified veterinary technician. She is the proud owner of two cats and enjoys a variety of crafts, playing the ukulele, kayaking, and spending time with family. Emily joined our practice in January of 2013 shortly after she moved to the Rogue Valley from Hawaii. She brings over 11 years of technical experience to the clinic. She and her boyfriend have two cats. Her hobbies include fishing, cooking, baking, and video games. 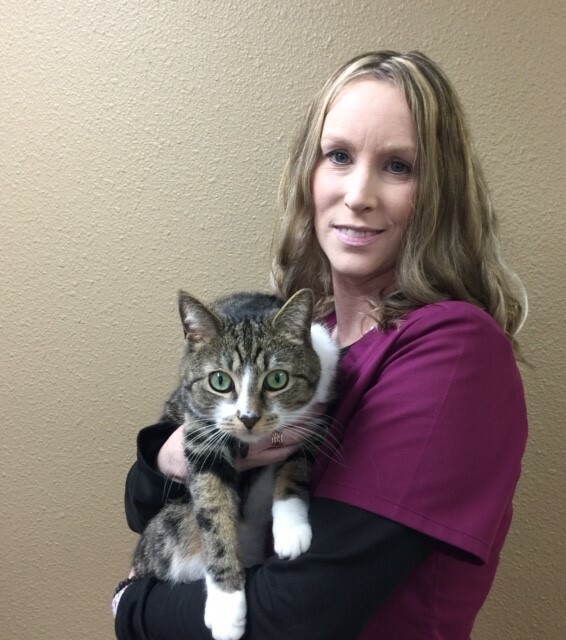 Esther joined Jacksonville Veterinary Hospital in June of 2015. She has lived in the Rogue Valley her entire life and enjoys all the activities it offers. Her hobbies include hiking, fishing, rafting, and spending time with family and friends. She has three cats and a dog who are more like children than pets! Arika joined our staff in April 2019. She was born and raised in the Rogue Valley and her love of animals began as child saving snails from sidewalks. She has two cats, two dogs, a rabbit, rats and chickens. Her favorite past-times include gardening, cooking, and learning new things. 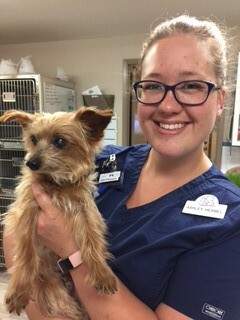 Diane joined the Jacksonville Veterinary team in July of 2018. Originally from Georgia, Diane is the mother of three and moved to the Rogue Valley with her husband and son in late 2017. She has three dogs and in her free time she enjoys watching college football, spending time with family, singing, hiking, camping and fishing. Sarah joined our staff in March of 2019. 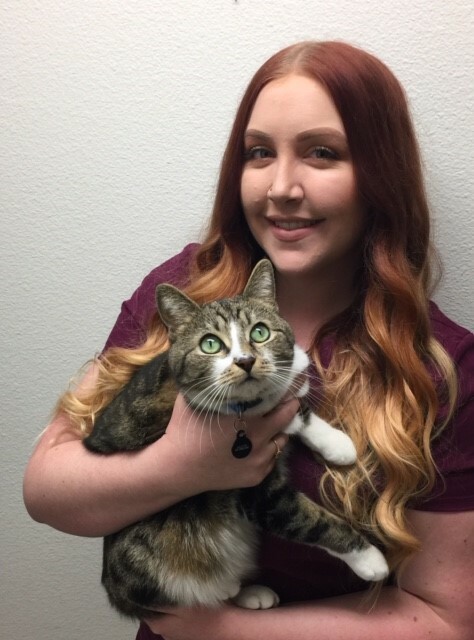 She loves working with people and their pets, and has over ten years of customer service experience. Sarah lives in the Rogue Valley with her fiance Justin, "world's cutest Pomeranian" Dexter, and three cats. Her hobbies include cinema, make-up, making YouTube videos, interior design, camping, and family time.